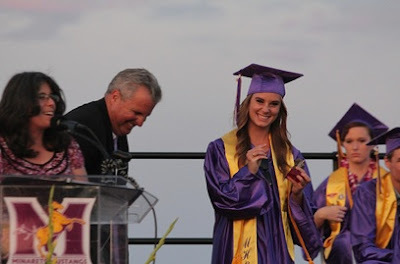 With the time of graduations and school-year endings upon us, we are often found in a state of reflection. Whether it’s educators completing another exhausting and challenging year - or students moving on to new levels of education or new chapters in their lives – this time of year will often lead to us to see what we’ve done and we’re going to do. This is reflection and this is real learning at a high level. Famous thinkers such as Aristotle, Plato and Confucius all communicated about the value of reflection in learning. Early education researcher John Dewey wrote about the value of reflection in learning often and thought of reflection as the beginning of all problem solving, higher level thinking and more. Bloom’s Taxonomy addresses reflection throughout and education writer and researcher Don Clark breaks down reflection as it applies to students, teachers, etc. (http://www.nwlink.com/~donclark/hrd/bloom.html#revised). 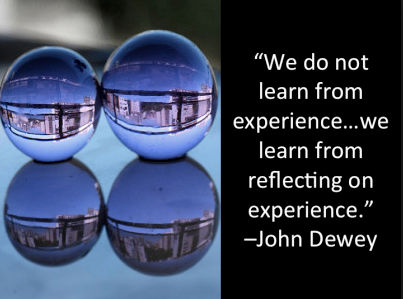 In lay terms, how does reflection relate to actual learning? Ultimately, it requires us to review our learning experiences, as well as evaluate our learning goals. Learning by nature is an individual experience that is a living, breathing thing. Reflecting on how we have arrived where we are - and what we can do to arrive where we want to go - can only maximize this learning. Teachers and all professionals who are interested in continual improvement do this inherently. Individuals and organizations are all constantly assessing their past successes and failures and seeing how they can learn from them going forward. This effort for continual improvement requires continual reflection. Once students are practicing reflection, their overall critical thinking increases. They are analyzing and evaluating their own learning experiences and how they improve, set new goals and articulate their strengths/weaknesses. This is real learning and at a high level. How does this apply to school? Well, this is where a comprehensive exam falls short. It only assesses specific content, not experiences, skills, thinking or more. Only by moving to more performance-based assessments and more portfolio-based student project development, can students reflect about what they have learned and what they still want to learning. The latter requires more personal investment and ownerships vs. the former. 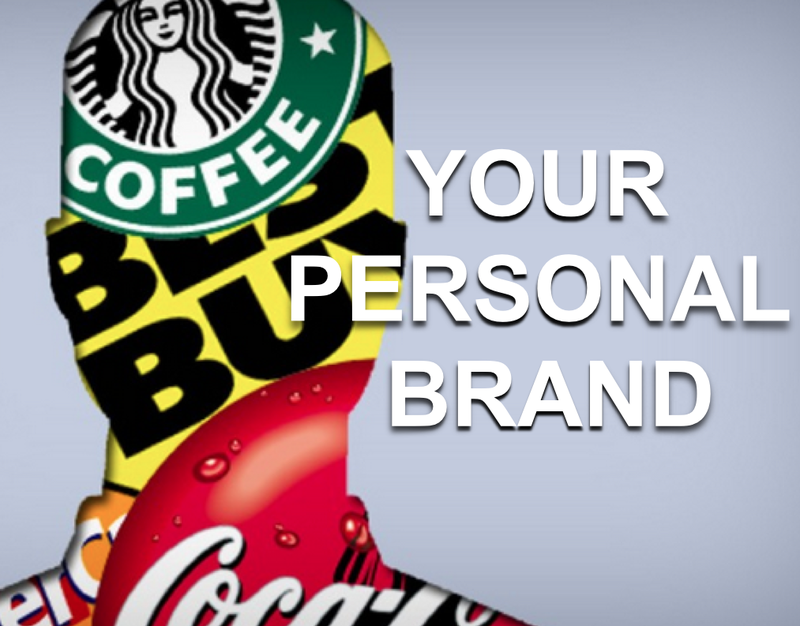 I am fortunate to work at a project-based school where all of our students are required to present a year-end portfolio of their work and professional persona called the Personal Brand Equity. This portfolio presentation not only requires them to analyze and assess their learning and best work in their academic and elective courses, but also do the same for them as a growing and ever-improving individual. It requires them to identify what they are known for professionally and passionately, as well as to where they are going (goal-setting). 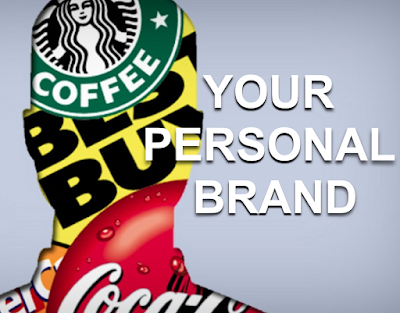 See a sample of a 10th grade Personal Brand Equity presentation template: (http://www.slideshare.net/mattpowersenglish/minarets-high-pbe-sophomores-2014-template-matt-powers). All schoolwork needs to build in the reflective process. Writing can never really improve unless the writer reflects right? This can be applied to all school projects and assignments. Students not only need to understand why they are doing something (relevance), but also what they learned and how can it be applied in the future (reflection). Whether a student is graduating high school to higher ed. or from higher ed. to career, reflection will be the powerful tool that allows their individual learning experience and success to exist, as well as expand. Even as we move students from one grade level to the next, we should begin teaching them the power of reflection. If we do, we will move one step closer to creating self-realized, self-guided learners in charge of their own learning experiences and destiny.